Last weekend we were up on the Norfolk coast and as always the sun was shining. 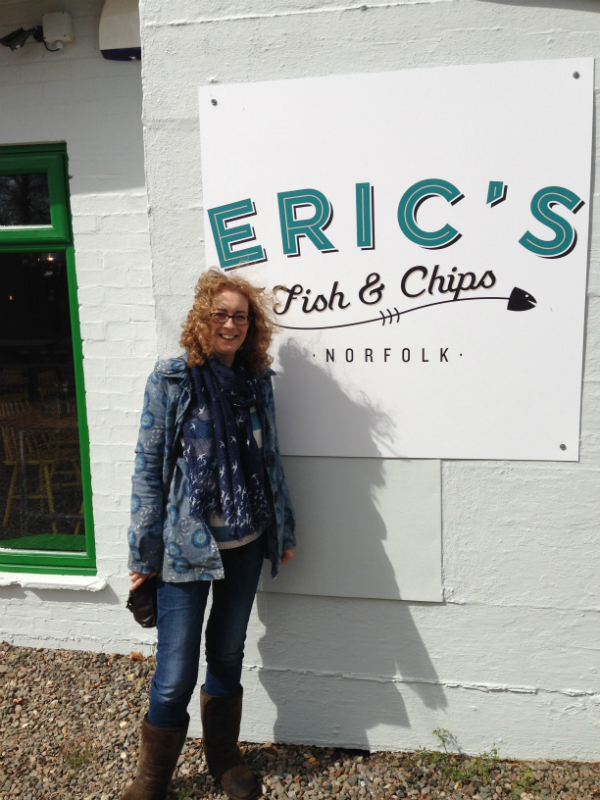 This gave us the perfect excuse to go and try out a newly opened Fish and Chip restaurant and take away in Thornham next to the lovely Drove Orchards. 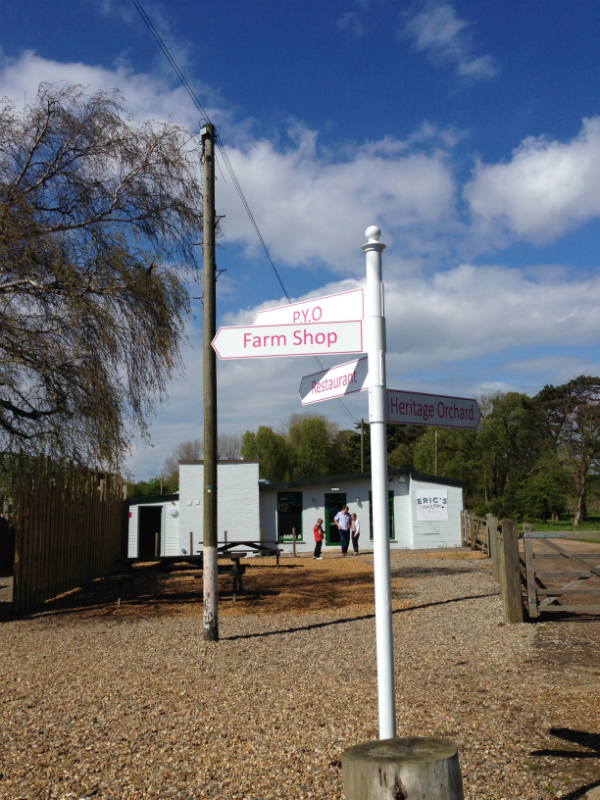 The restaurant is set next to the Drove orchards farm shop and fields of strawberry plants ready for the pick your own season and wild flowers, a gorgeous setting. 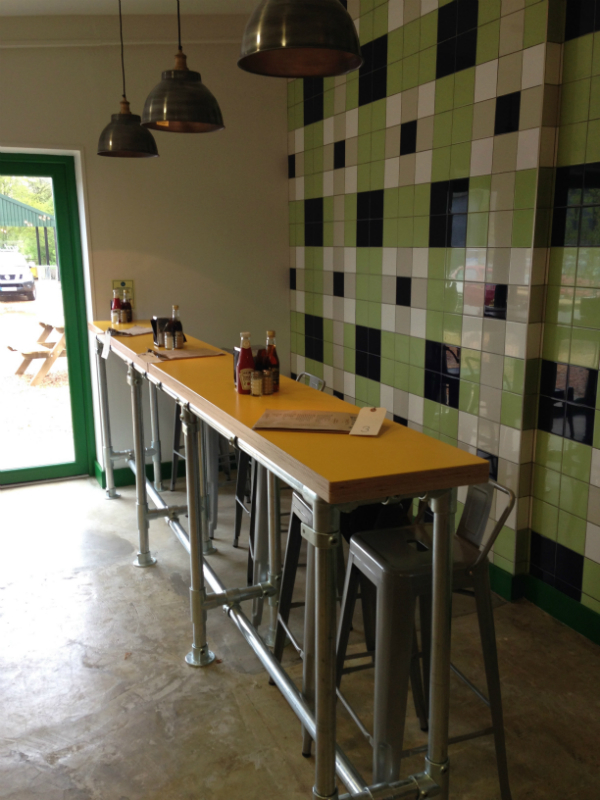 The restaurant and take away is a new venture from Head Chef Eric Snaith of Titchwell Manor just along the coast road at the pretty village of Titchwell . 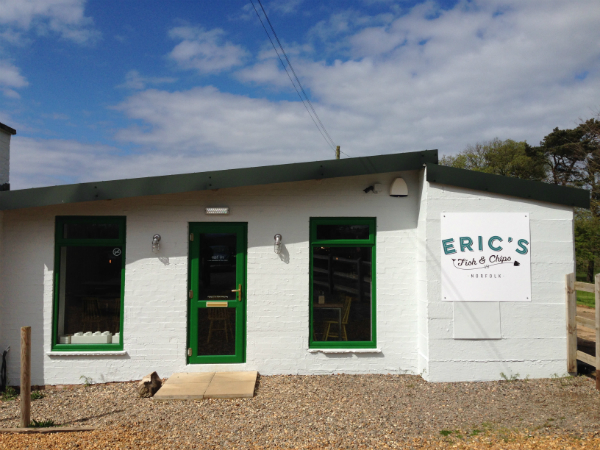 Eric had the idea to open a Fish and Chip restaurant, something that he felt was very much lacking from the North Norfolk coast and one that would be a contrast from the fine dining and informal dining of the Hotel. We decided to pop along for a very late lunch and received a very warm welcome from Manager Kayleigh Roe. 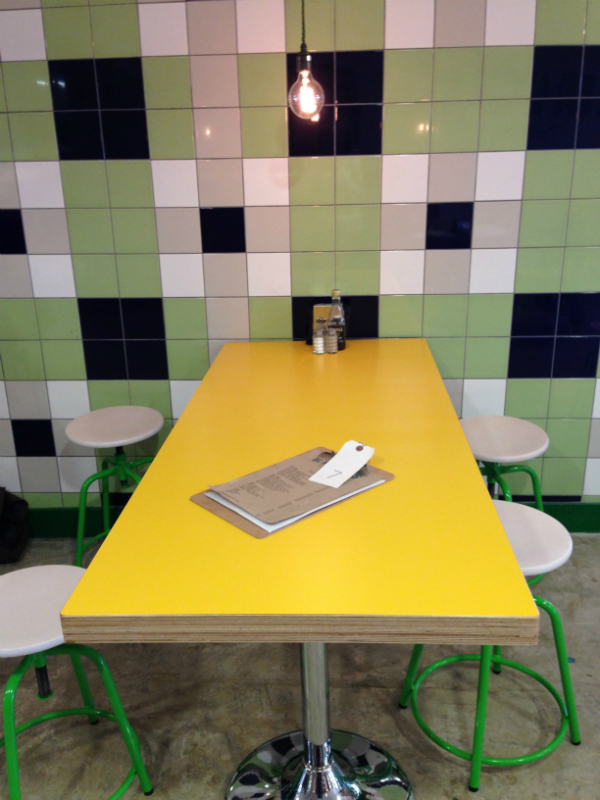 The restaurant itself has a contemporary retro feel with coloured tiles, retro light fittings and bright yellow tables. 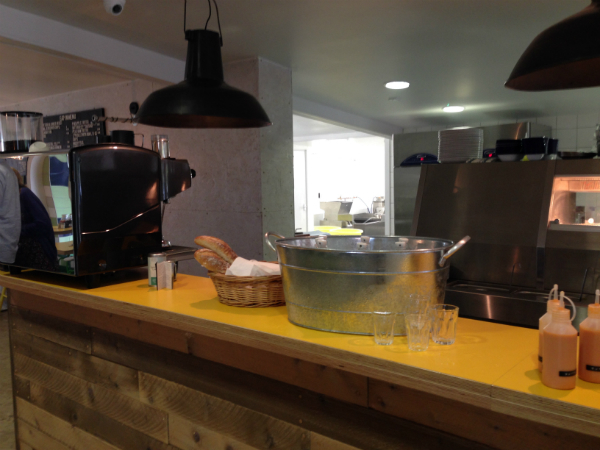 The restaurant felt very clean and bright and had a very cool feel with great music adding to the atmosphere. 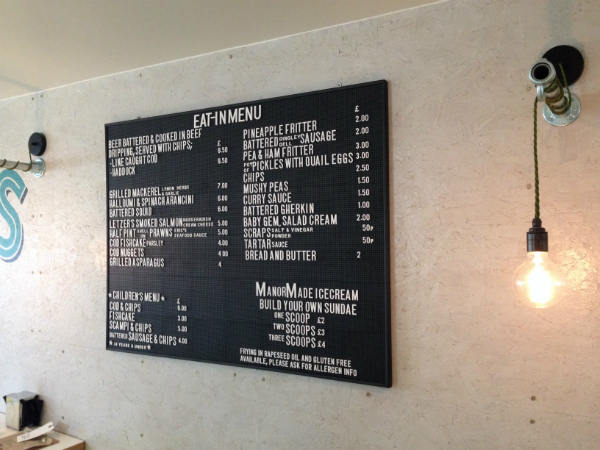 After studying the menu on a large retro style pin board I decided on the gluten free haddock and chips and my husband choose Cod and chips with mushy peas. I was very careful to explain that I had Coeliac disease and would require gluten free. Kayleigh was most helpful and reasurring and offered me either to have it cooked in beef dripping or rapeseed oil. She double checked with the Chef and the beef dripping was free from cross contamination so I choose that. I think if I have any comment is that I would prefer to see a dedicated fryer that was only ever used for gluten free products or chips. This would just help to avoid any cross contamination. This of course may already be the case. The gluten free batter is also yeast free. I have to say the mushy peas looked delicious and I wish I had ordered a portion too. 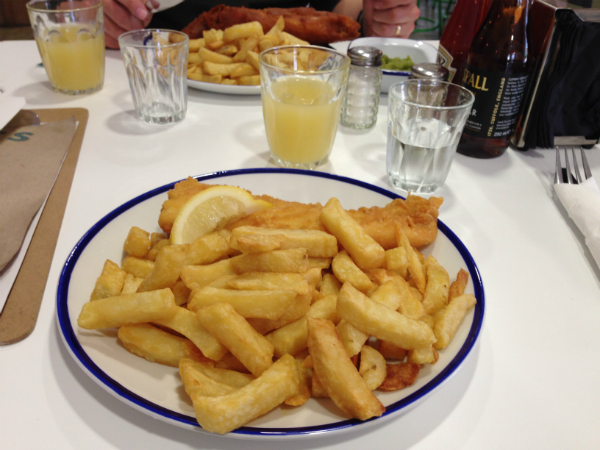 I’m sure the majority of people, take eating fish and chips out very much for granted but when you are intolerant to gluten it is a very different experience. Fortunately more and more Chippy’s are getting on board and offering a safe gluten free version for Coeliacs and those who are gluten intolerant. 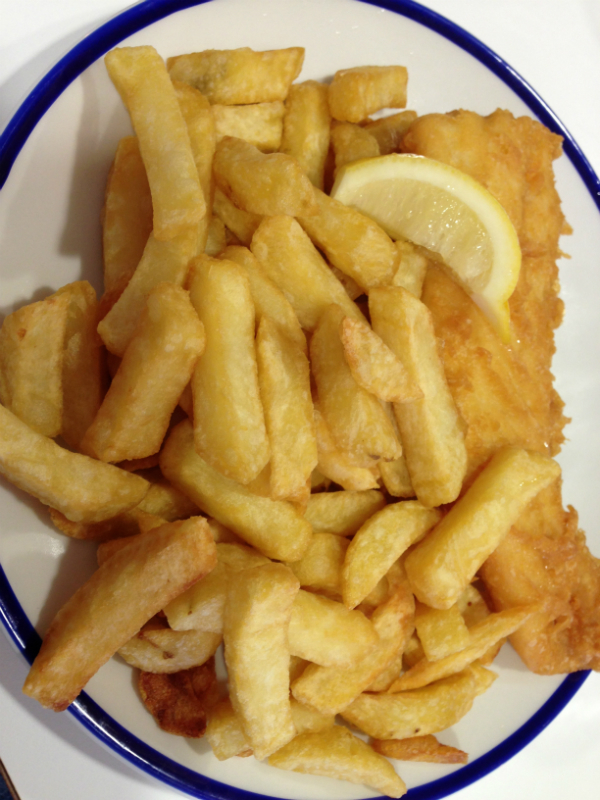 Back to the amazing crispy light battered haddock! 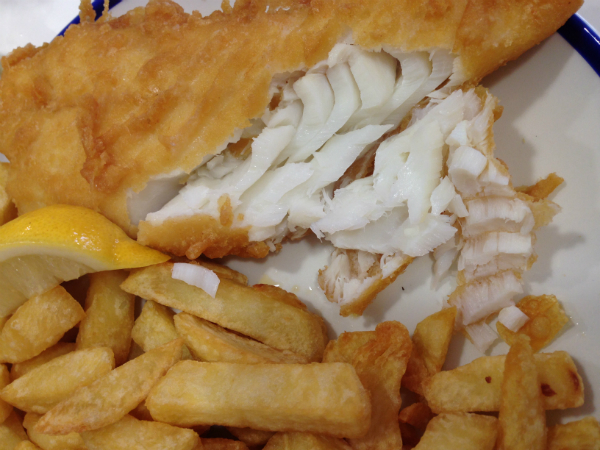 It was perfect, not overly greasy and in a beautifully crisp light batter with moist fresh haddock inside. The chips were also very good and plenty of them, I couldn’t finish all of mine. My husband enjoyed his cod, chips and mushy peas too and was even more thrilled that we had found another restaurant where I could eat at safely. 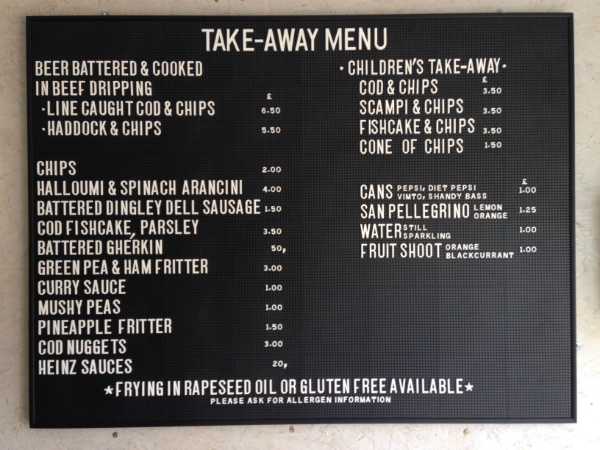 Fish and Chips costs £9.50 to eat in. 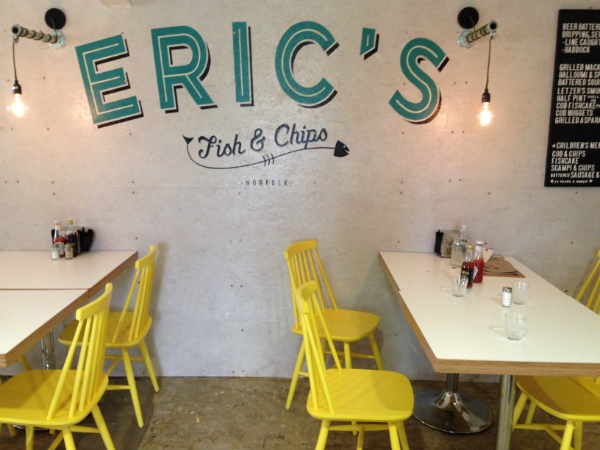 Both my sons and other halves have recently eaten at Eric’s Fish and chips and both ranked the meal very highly. I am thrilled to have this new restaurant so close to our home and cannot wait to visit again very soon.